Whistler's Blackcomb glacier will be open for summer snowsports on the day as usual, but more unusually Mount Washington Alpine Resort on Vancouver island has announced it will open for snowsports for the July 1st weekend for the first time in the resort's history. "It's going to be a great winter this summer!" said Don Sharpe, Director of Business Operations at the resort. "If we can't open the Bike Park due to the snow depths on the mountain, then we'll open up the mountain for skiing." The mountain will operate the Eagle Express chairlift from 11am to 4pm on July 1st to 3rd for snow sliding. Tickets will be $25 per person. The mountain will determine total lifts and trail openings closer to the Canada Day weekend. 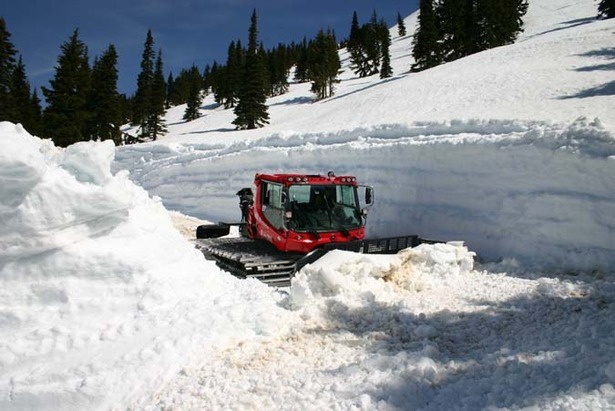 "Last winter was the deepest snow season in resort history and we realized early on that our summer operations will have to work off different parameters," explains resort spokesperson Brent Curtain. "So we're adjusting our summer schedule to suit the amount of snow that's still on the ground." A third Canadian ski area that had earlier expressed hopes of opening July 1st has had to abandon the plan. Sunshine Ski area near Banff in Alberta said it won't open for snow sports for the Canada day weekend due to legal and practical operational difficulties.